The Model 527 adds a new level of safety to mining and construction sites. It projects a large “Keep Out” zone of light onto the ground to alert pedestrians and vehicles to stay out of potentially hazardous work areas, such as the swinging path of a shovel or drag line. 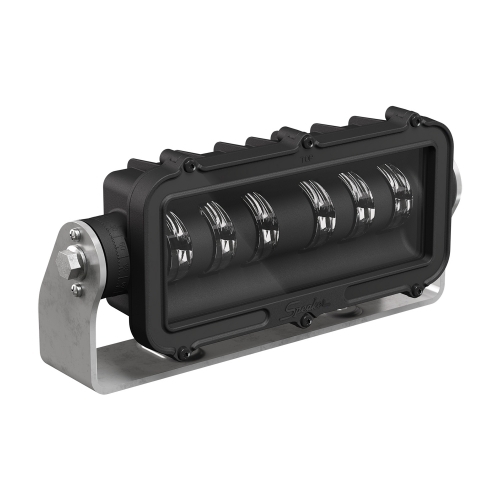 Instruction Sheet: Model 527 RED Rock Guard Read More... Installation Instructions for the Model 527 RED Rock Guard. Read all safety instructions and mounting guidelines before installing the product. Instruction Sheet: Model 527 Zone Light Read More... Installation Instructions for the Model 527. Read all safety instructions and mounting guidelines before installing the product.